We extended our holiday to take in the Bastille Day celebrations in the Loire Valley this year. Even when the family used to spend the summer in Normandy, I contrived to miss most 14 July celebrations, much to my regret ‘cos I love fireworks. Don’t get me wrong. I enjoy a march-past of Sapeurs Pompiers as much as the next man, and even a parade of children with lanterns doesn’t leave me unmoved. 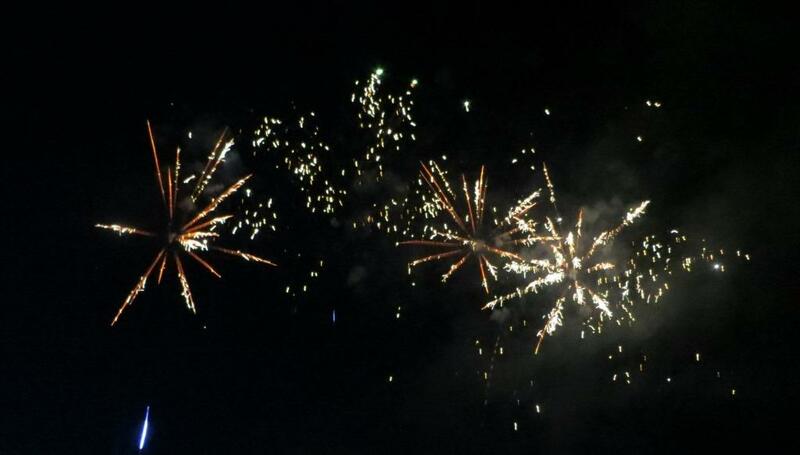 But it’s the feu d’artifice that crowns the evening! New caravan. Bailey Unicorn Madrid III first impressions. 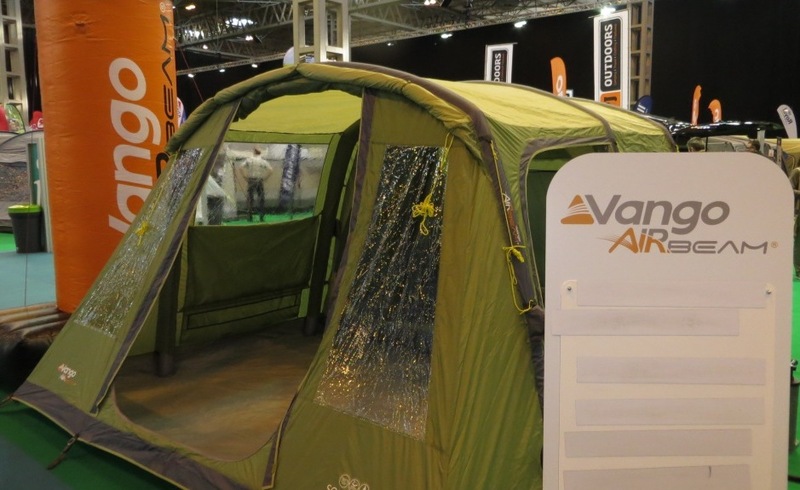 Last October, at the Caravan Show, we were tempted by the latest and glossiest caravan from Bailey. We’d not long had our Bailey Unicorn Madrid, but the new Series III version was just perfect for our style of touring, so we indulged (there’s no other word for it) in a new van. We picked it up from the very excellent Chipping Sodbury Caravans, whom I can’t praise too highly. Very good people to deal with. We stayed locally at Little Wood Caravan Park, which is delightful. Friendly, helpful owners, and a beautifully kept site and facilities. 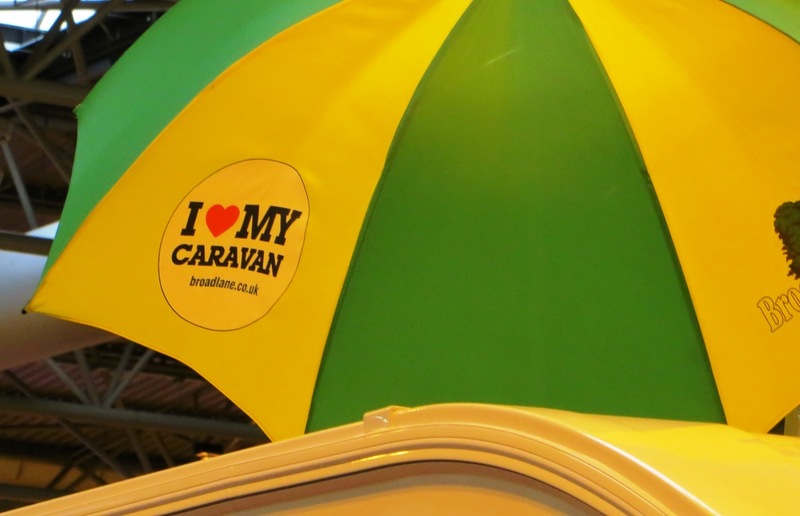 We shall be picking up our new caravan in a few weeks, so we didn’t go along to shop for yet another one, but we did fancy a little look at what the whole show had to offer. We happened to start in the hall that housed the tents and awnings. So-called “air beam” frames, made of rubber tubes that you pump up are becoming the order of the day rather than metal or fibre frames that you slot together. Some of these tents can also serve as an awning. Today was our visit to the Motorhome and Caravan Show 2014. We had a shopping list. We wanted a cover for the van, to protect against autumn leaves and winter rain, and a solar panel for the nicer days. We wanted to look at holiday sites both in the UK and in Europe. And, no doubt, we’d come across some accessory or gadget or another which looked like fun. 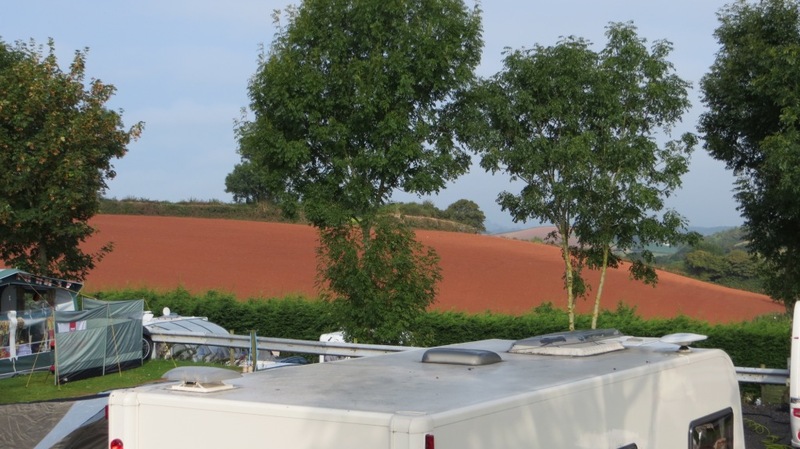 We stayed at Widdicombe Farm touring park, just outside Torquay. This site receives rave reviews, and I can understand why. The site is terraced, so everyone gets a good view of the surrounding countryside. At last the day came. 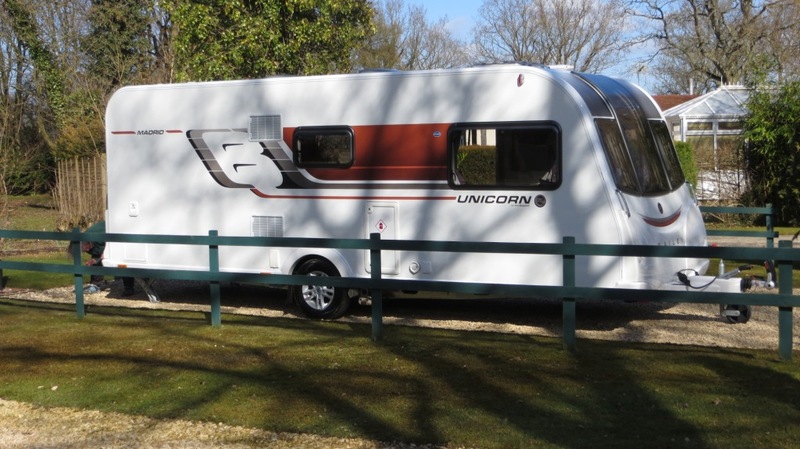 We collected our nice Bailey Unicorn Madrid from the very excellent Glossop Caravans. It wasn’t the sunniest of days, and we were glad to get back to our storage site with enough time in hand before dusk to put into practice our handover of the motor mover and security features. The new Powrtouch motor mover is a significant improvement on our old Rhyno. It’s foolish of course, and at my time of life I should know better, but I’m as excited as a small boy in a toy-shop. We’ve upgraded our caravan to a much more recent model. We’ll be collecting it at the end of August. 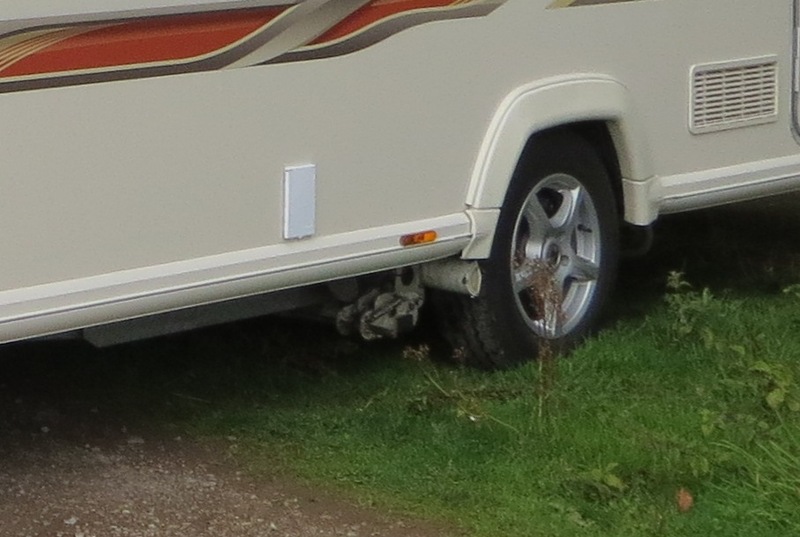 I don’t regret having bought the Elddis as a first caravan, though. 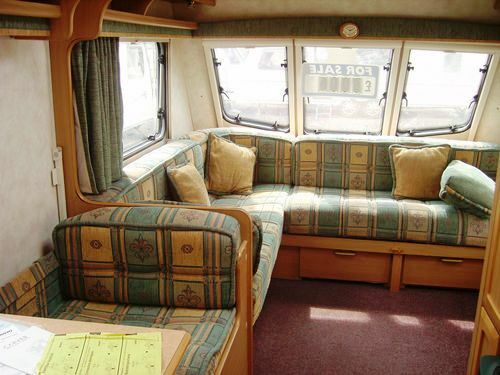 The EX2000 was a special edition for the millennium, and was a posh van for its day, with top class fittings.